An inspiring collection of stories and photographs that capture what it means to live, work, love, and resist in America—from the Facebook group with millions of engaged and impassioned members. In October 2016, Maine resident Libby Chamberlain created a “secret” Facebook group encouraging a handful of friends to wear pantsuits to the polls. Overnight, the group of thirty exploded to 24,000 members. By November 8, the group was three million strong. Since Pantsuit Nation’s inception, its members have shared personal stories that illustrate the complexities of living in a vibrant, oftentimes contentious democracy. 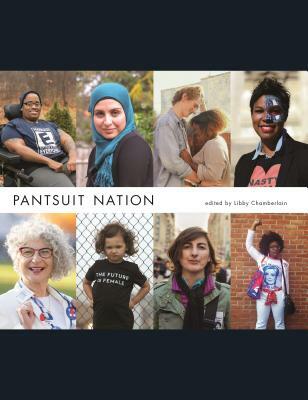 Members turn to Pantsuit Nation as a place of refuge and inspiration, where marginalized voices are amplified, faces are put to political decisions, resources are shared, and activism is ignited. It is a dynamic, diverse community united by an unwavering commitment to building a more just, inclusive world. Now, hundreds of Pantsuit Nation members have contributed their stories and photographs to form this extraordinary book. An indelible testament to the idea that change comes first from the heart, and that the surest way to move a heart is to tell a story, Pantsuit Nation is a portrait of a moment in history and a rallying cry for our time. Libby Chamberlain is the founder of Pantsuit Nation. She lives in coastal Maine with her husband and two young children.